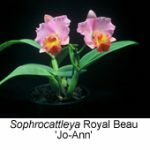 The term ‘Cattleya Alliance’ is usually applied to a group of four related genera, namely, Cattleya, Brassavola, Laelia and Sophronitis, all found in Central and South America. 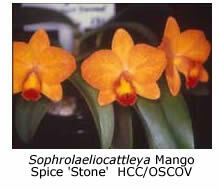 They are cultivated extensively as species, primary hybrids and complex hybrids. 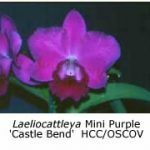 Some of the many inter-generic hybrids are Brassocattleya (abbreviated Bc), Laeliocattleya (Lc), Sophrocattleya (Sc) and Brassolaeliocattleya (Blc), while that involving all four genera is known as a Potinara (Pot.). Though the group as a whole is largely found in tropical areas, some species are cold tolerant, being found at altitudes of 1000 m or higher. Habitat data is quite useful when growing species or primary hybrids but it is more difficult to predict the temperature requirements of some of the complex hybrids. 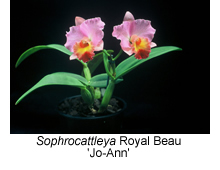 However, there are a few general rules that can be applied, as there are two types of plants in the genus Cattleya. One group is bi-foliate, having two (sometimes more) leaves per pseudo-bulb. This group includes C. bowringiana, C. intermedia, C. loddigesii and C. skinneri, all of which are cold tolerant. The second type of cattleyas is the labiata group. 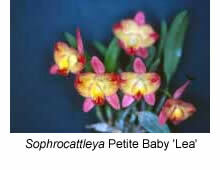 These species have only one leaf per pseudo-bulb, and produce fewer but larger flowers. They are less cold tolerant, requiring a minimum temperature of 10˚C. 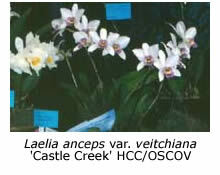 Examples are C. lueddemanniana, C. trianae, C. warneri and C. warscewiczii. The genus Sophronitis is small, both in number and size. 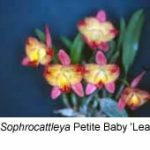 All seven species are cold tolerant and have small pseudo-bulbs, most usually carrying a single leaf and a single brightly coloured flower. 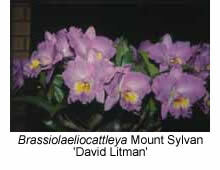 Laelia species have larger plants, their pseudo-bulbs usually being at least 100 mm tall. Their inflorescences may carry from one to many flowers, which are often large and colourful. Temperature requirements depend on their native habitat but cold-tolerant members include L. anceps, L. gouldiana, L. pumila and L. purpurata. 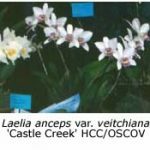 Both species in the genus Brassavola (as used in the Cattleya Alliance) have now been transferred to the genus Rhyncolaelia. They are warm growers, requiring a minimum temperature of 10˚C, preferably higher. Rhyncolaelia digbyana produces a single yellow-green flower with a fringed, cream lip per growth, while the flowers of R. glauca are similar but their lips lack fringes. While some species and their hybrids will grow without heat in Melbourne, better results will usually be obtained at a minimum temperature of at least 5˚C. If your plants are grown without heat, take care not water them during cold winter weather. 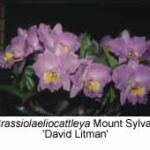 Ultimately, trial and error will tell you where these colourful, perfumed orchids grow best among your orchid collection. A few desirable, cool-growing hybrids include C. Chocolate Drop, Lc. Chit Chat, C. Portia, Slc. Hazel Boyd, Slc. Dixie Jewels and C. Fitz Eugene Dixon. All cattleyas are epiphytes, so their roots require access to air. They grow well on mounts or when potted in 15 mm pine bark. Some growers have good success using tightly packed Sphagnum moss as the potting medium. Although I find moss a good medium for cattleyas that have lost their roots, I find that they do better if I transfer them back into pine bark after a new root system has been established. I re-pot in springtime every 2-3 years, using a pot that is just large enough to accommodate the growth anticipated in the following 2-3 years. The pots may either be suspended or placed on open wire mesh benches. Cattleyas also grow well on mounts, provided care is taken to prevent their roots from becoming excessively dry in hot weather. They like strong light but the leaves will burn in direct sunlight during summer. Provide good air movement with fans or open ventilators. Fertilising is straightforward. 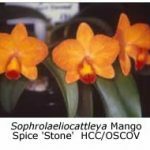 I use any of the commercially available orchid fertilisers, applying a weak solution weekly in the growing season but seldom during winter. Cattleyas require regular fertilising during the growing season because this is their main source of nutrients. Allow the potting mix to become almost dry before watering again. The surface of the mix should become quite dry and the layer beneath just damp before the plant is re-watered. Potting mixes dry out at different rates, depending on the position of the pot in your collection and on the extent of air movement. Small pots dry out more quickly than large pots, and plants in large diameter bark more quickly that those in fine bark, while mounted plants will dry very quickly. Re-pot all your plants in bark of the same size, so as to eliminate this variable. If a potting mix remains wet for too long, it will become waterlogged and the plant’s roots will rot. If a plant is being watered regularly, yet still has withered canes, don’t continue to water it – check its root system for rot. Cattleyas often have an untidy growth habit. They sometimes tend to grow sideways, which makes for a scruffy plant and poor flower presentation. In this case give the new canes guidance and support using stakes and ties. Take care not to snap off the new growths, which may be quite brittle. Also support the inflorescences when they emerge from the sheath to ensure the flowers are displayed to their best advantage. Cattleya buds sometimes abort and rot while inside the sheath, either due to a setback caused by a sudden fall in temperature or perhaps by excessive humidity in the sheath. There may be some benefit in peeling back the sheath if you suspect the occurrence of rot. A stout rhizome links each cattleya pseudo-bulb to its neighbour. The plant may be divided by severing this rhizome at intervals with a razor blade or sterile knife, a process referred to as back-cutting. Make sure that each division consists of at least four pseudo-bulbs. Back-cutting may be carried out when re-potting but it is best to leave the plant another year after back-cutting before transferring the divisions to separate pots. 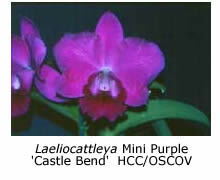 The main cattleya pests are aphids and scale. Aphids tend to infest the new growths and flowers, while scale insects hide beneath the sheaths surrounding old pseudo-bulbs and under the leaves. Scale may be particularly damaging if not detected early, so remove all old sheaths from the pseudo-bulbs so that the scale insects have fewer places to hide. The usual sprays and techniques may be used to control both pests and diseases.